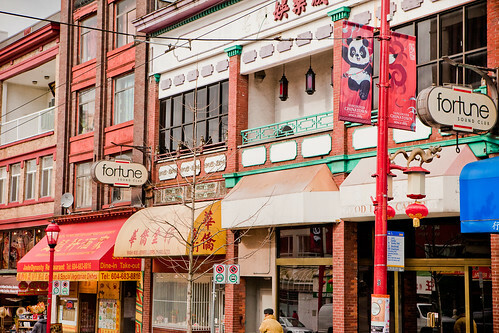 Whether it is for the freshly baked goods or the stunning historical artefacts, Vancouver’s Chinatown neighbourhood has enough nostalgia to spread for its visitors and residents. Nestled in near the edge of the downtown core, this particular Chinatown is blessed with some stunning architecture as well as waterfront scenery. Static Photography photographer Kris Krug had the chance to wander around his local neighbourhood with his camera in tow. He was even able to catch some rare Vancouver sunlight while wandering the streets. 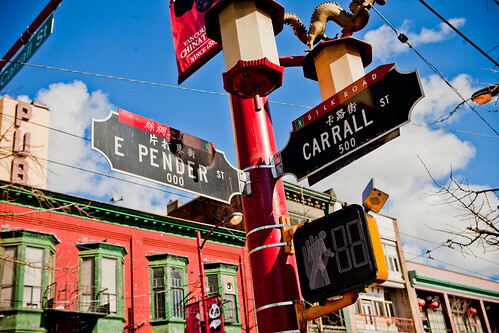 Vancouver’s Chinatown neighbourhood is particularly special because its history is vibrant with flavours and colors. It has many longtime residents that care for the continuation of its cultural identity as a thriving community. 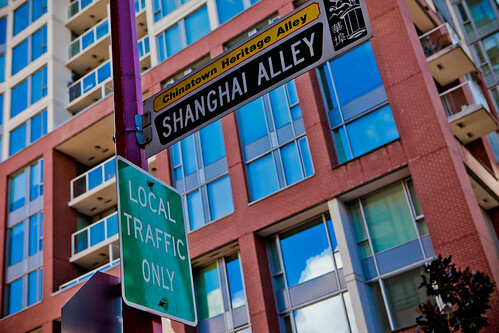 All this is very apparent by the certain shops, eateries and historical venues that call Chinatown home. Kris had a chance to visit many of these places and catch a glimpse of what makes Chinatown so special in Vancouver. 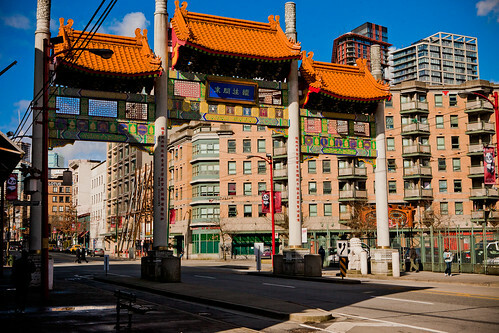 Check out some of the awesome sites from Vancouver’s Chinatown neighbourhood. 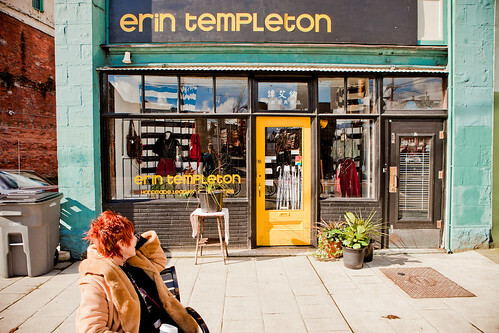 Erin Templeton is a small independent boutique nestled near the gates of Chinatown. Not necessarily positioned in the traditional shopping area of Vancouver, Erin Templeton keeps a very specific clientele that will come into Chinatown for some handmade beautiful leather goods made with love. Run by leather designer Erin Templeton, this amazing space is a cornerstone for the uniqueness found in Chinatown. Nestled on sunny side of Pender Street, the Everything Cafe has a little bit of everything for everybody. Whether it is a perfectly crafted latter, a piece of sugary pie or just a dark place to hide and read, Everything Cafe is a perfect spot to relax from the busy streets of Chinatown. Kris had the chance to sample some of the delicious treats featured here. There really is no other place like Dunlevy Snackbar in all of Chinatown. Situated on the smooth edge of Strathcona and Chinatown, Dunlevy Snackbar is a minimalistic approach to the mainstream coffee shop. There menu is very limited but perfectly curated to keep their creative East Vancouver clientele satisfied. Perfect place to get some work done! Blim is an independently run artist-space is a new addition to Vancouver’s Chinatown neighbourhood. This artistic space is part store front and part artist space with monthly markets and skill-sharing sessions. 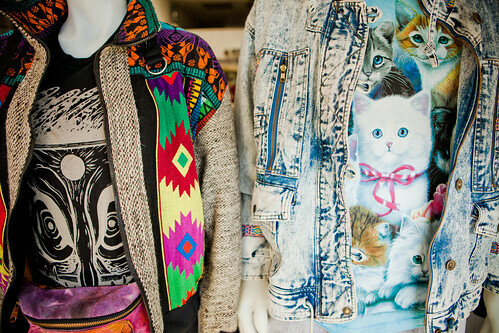 Whether you are looking for an awesome new hoodie or how to make some DIY buttons, Blim is the place for you. This large ornate gate is the first welcoming monument when entering Vancouver’s Chinatown neighbourhood. Initially donated to the city from the Chinese government just following Expo 86, this cultural landmark is a refreshing memory of the vibrancy of Chinatown and all of its offerings. Situated in the far corner of Shanghai Alley is a very large and majestic looking bell scuplture. The West Han Dynasty Bell was originally a gift from the City of Guangzhou sent to the city of Vancouver. These two cities were joined in cultural marriage as twins and this bell marks the 15th anniversary of this occasion. 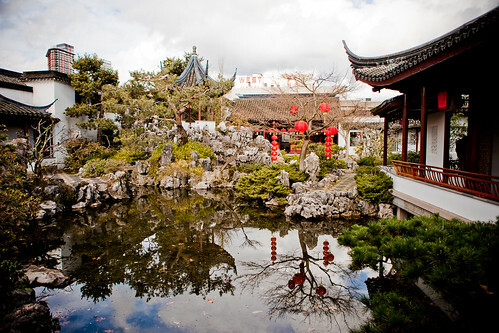 One of the best kept secrets of Vancouver’s Chinatown is the Dr. Sun Yat-Sen Gardens. Hidden behind tall walls this elaborate sanctuary is walking-tour of paradise. This self-sustaining community-maintained space is a perfect place for contemplation and reflection. It was created to help maintain a sense of understanding between the Chinese and Western cultures. If there were any place to spend a few hours wandering aimlessly, Dr. Sun Yat-Sen Gardens would be the place. 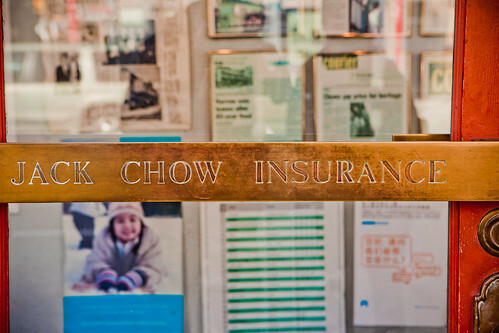 Identified as the world’s most narrow room, Jack Chow Insurance company store is a spectacular site to be seen. This landmark space is a mere 4 feet 10 inches wide. Despite not being used for much nowadays, Jack Chow Insurance is definitely a spot to hit just to say that you have been there to witness it. Jack Chow Insurance still holds the Guinness World Record for World’s Shallowest Commercial Building. 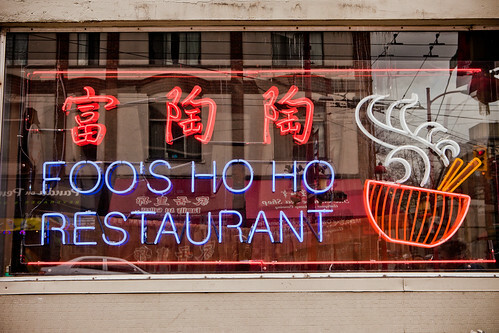 Only in Vancouver’s Chinatown! Another hidden treasure of Vancouver’s Chinatown is the local music venue Fortune Sound Nightclub. With its grand opening just shortly before the Vancouver 2010 Winter Olympics Fortune Sound Nightclub has been a pinnacle in the local Vancouver nightlife scene. Make sure to check out show there if possible. 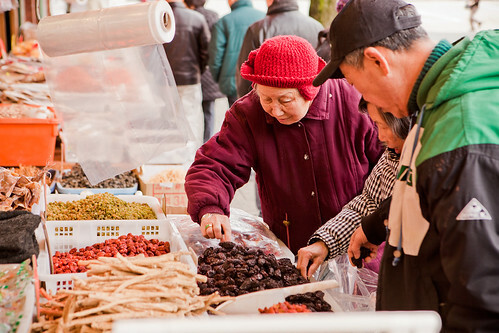 A constant theme of Vancouver’s Chinatown is all of the outdoor markets pouring into the streets. Whatever kind of seasoning, herb, or spice that you desire, you can definitely find at one of these outdoor vendors. 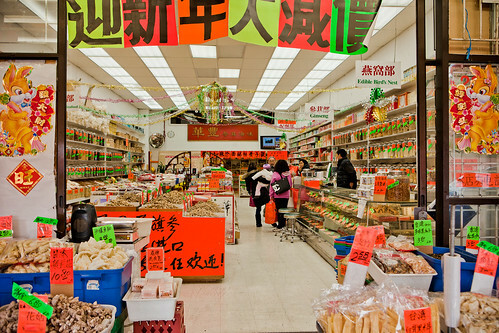 The best thing to do in Chinatown is to experience some of the best authentic Chinese food in all of the city. Smells tend to be wafting from every open window when walking down the street. Whether it is a steamed pork bun or some amazing stir-fry, mouth-watering options can definitely be found in Vancouver’s Chinatown. This tiny little alley space is a historical spot in Vancouver’s Chinatown. Back in the early days of the city, Chinese immigrants settled in this alley space which would soon develop into the rest of what is known as Chinatown. Today is a brightly coloured space that is lined with plaques detailing the historical timelines that occurred here. It has been really fun exploring all the neighbourhoods of Vancouver for Inside Vancouver! Check back here next month for more adventures through Vancouver! …in the last paragraph, i do believe you mean \”plaques\” instead of \”plagues\”. quite a difference between the two! Good catch Anna, I’ve fixed the typo. I love this , great job! I\’ve lived in Vancouver almost my whole life and didn’t know about half these spots! That is because this piece is suspiciously focusing on the new places in Chinatown that have sprung up since the recent attempts at gentrifying it began. I mean, Everything Cafe’s own website states “Everything Cafe is a 36-seat Euro style cafe located in the heart of Chinatown.” I fail to see how a so-called “Euro Cafe” can enhance, preserve, or accurately reflect the culture of Chinatown. What an intriguing essay and beautiful photos! After seeing this post, I will be heading down to Chinatown in the near future. The first time I heard about Chinatown in Vancouver I had my doubts, but when we drove through the gate I couldn’t believe my eyes! What an oasis of fun. Where is the best place to find historic photos of Vancouver Chinatown online? disappointed to see that my comments of 21 March have not achieved any spelling change in the Dunlevy Snackbar ad. 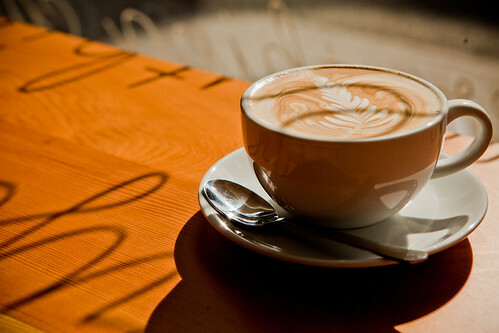 am coming to Vancouver , for my first visit , on 1st August , 2012 , so maybe i’ll get a chance to visit this snackbar and discuss the English language with them, over a nice cup of tea ! ? more cheers , ( and happy spirits ) , john ( coming from Tasmania ).